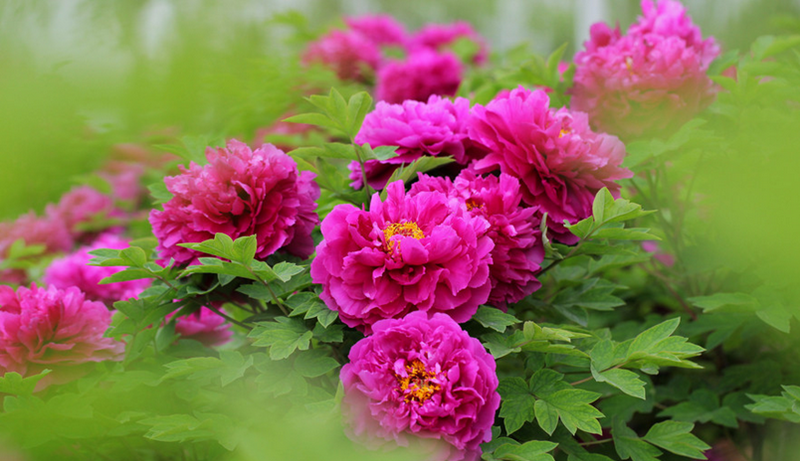 The ostensible goal of the annual Luoyang Peony Festival is to celebrate the beauty and charm of the peony, a flowering shrub belonging to the genus Paeonia, the only genus, in fact, within the flowering plant family, Paeoniaceae. The broader goal with the festival is to promote the widespread cultivation of this beautiful plant, and, indirectly, to promote cultural exchange among peoples the world over, through a shared interest. 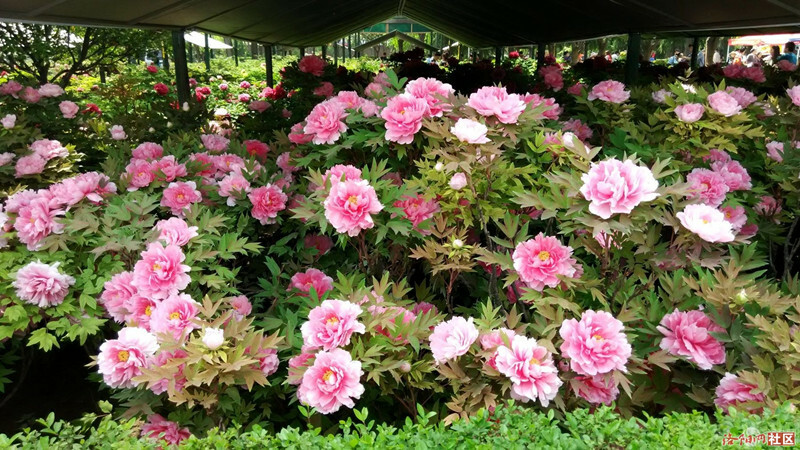 Each year from mid-April to mid-May, the peonies in the garden in Mongshan Town are in full bloom, generally reaching their peak during the period April 15th-25th, which is the date set for the annual festival. 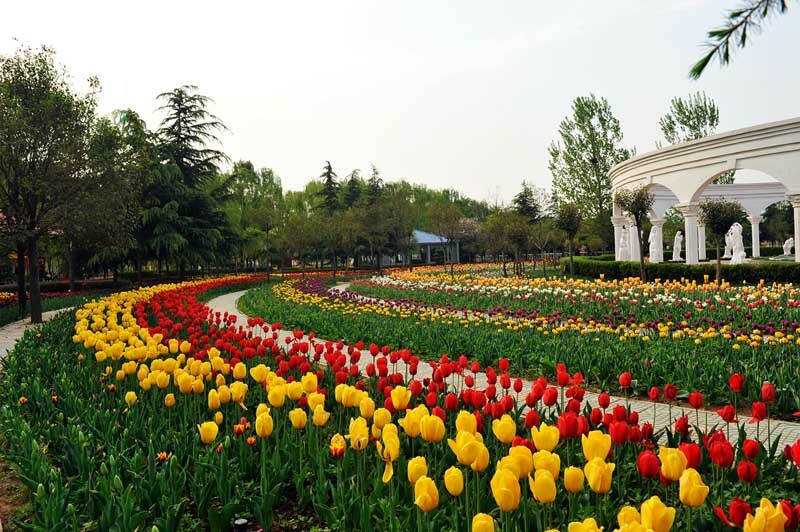 From mid-April to mid-May each year, the garden is awash with colorful flowers – mostly reds mixed with whites, yellows and purples – set against a background of thick, vibrant, dark green leaves, like a myriad of precious stones set in bright, shiny rings. The venue of the annual Luoyang Peony Festival is Luoyang International Peony Garden, located in the town of Mongshan on the outskirts of Luoyang, and situated across the street, as it were, from Luoyang Ancient Tomb Museum, the “street” in question being the highway that leads from the city of Luoyang proper to Luoyang Airport. Luoyang International Peony Garden covers an area of roughly 1/3 sq km (1/8 sq mi), an area which is planted with over 400 peony varieties, many of which are native to countries beyond China’s borders, a deliberate aim of the garden and the festival, given Luoyang International Peony Garden’s broader objective. 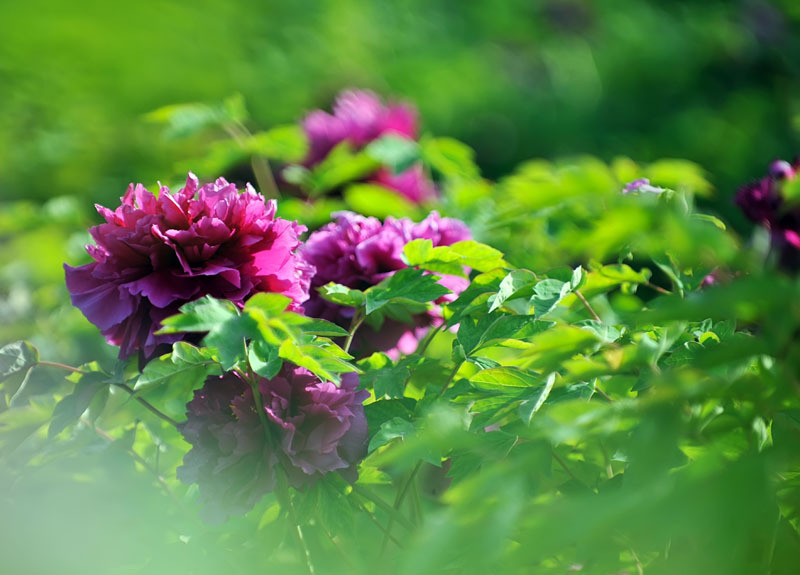 The Luoyang Peony Festival is very popular among Chinese tourists and peony lovers around the world. During the holiday season, the hotel room quickly filled up and the price rose accordingly. If you care, please avoid this time or choose to go to other places to enjoy the scenery; if you especially want to see this beautiful scene, then try it. Traveling out, the last thing you can’t leave is regret, isn’t it?